We wish you joyful writing. May your voice be loud and clear. And your heroes full of cheer. Mistakes... even when they’re daft. Words by Maureen, sentiment - the team. Congratulations to you, the undiscovered, for all the hard work, dedication, and perseverance that you have in bucketfuls. Keep writing, keep going, keep loving what you do. An exciting day! Well done to all the 2012 winners. 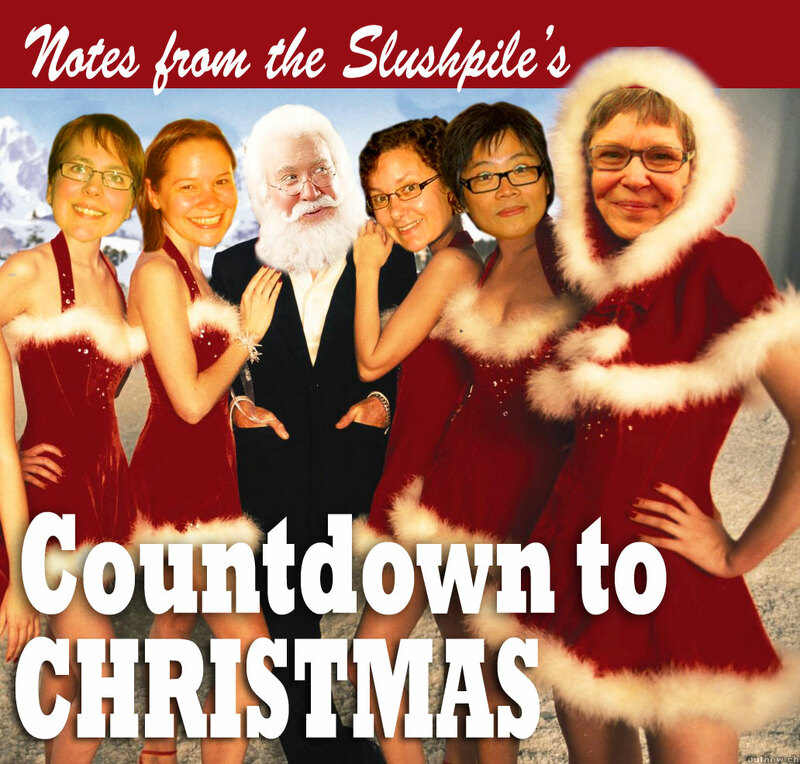 So pleased and excited to see two from the slushpile team on the list: Jo Wyton and Maureen Lynas. Hurrahs! We seem to have trouble keeping slushpilers on our blogging team - they keep getting discovered! Woo-hoo! What a day! Congrats to one and all and big hugs to Jo and Maureen. Well done Maureen and Jo! Methinks yo wont' be slushpilers for much longer. Thank you! Am now having toast and champagne! Big hug Jo! Champagne before 9 a.m.? You go, girl! Only one glass! It's been in the fridge for eleven years, boy was it cold. Huge congratulations UV-ers! This is a big day on your writing journey! Maureen - I have a similar bottle waiting in my fridge! Not sure what for, eventually I'll probably get desperate and drink it because it's a Saturday or something. congrats, maureen and jo! the slushpile is proud of you! we'll drink to you tonight, at the scbwi london social. ... and congrats to the other UVers as well! artists and writers ...love your poem, maureen! Great news - another batch of UV graduates emerges - happy days! Maureen and Jo, A really big CONGRATULATIONS for you both.